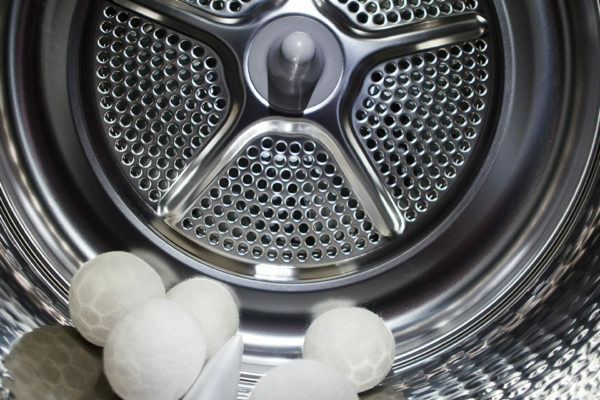 View cart “Dryer Balls” has been added to your cart. Feeding babies and toddlers can be messy. Baby bibs are an excellent way to help keep feeding mess to a minimum. It has a variety of features and benefits, making feeding time quicker and cleaner for parents. 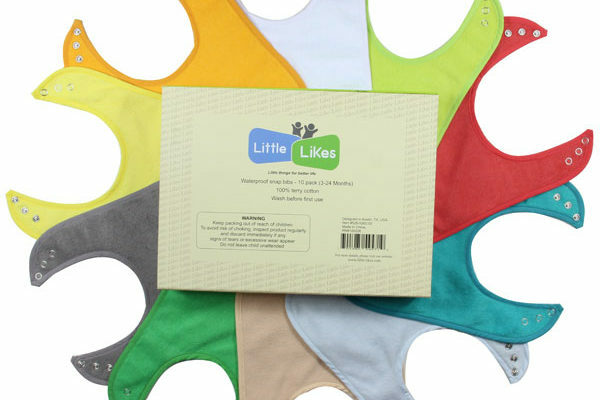 Waterproof bibs offered by little likes are super soft and of premium quality. Bibs come with three layers that keep the baby safe from any mealtime accidents or drooling. These bibs have snap closures that are quick and easy to use but strong enough for your baby to pull off. Little likes bibs are of a generous size that can protect the babies from making their clothes messy and also keep them dry and clean. There are three different snap positions which are good for the growing babies from newborn to toddlers. Feeding babies and toddlers can be messy. Baby bibs are an excellent way to help keep feeding mess to a minimum. It has a variety of features and benefits, making feeding time quicker and cleaner for parents.As a parent ourselves, we have tried every type of bib available and found a lot of things that need improvement. • Waterproof coatings are not absorbent – spills end up in Baby’s lap! • Velcro fasteners are noisy, scratch Baby’s skin and wreak havoc in your laundry! • Silicone bibs are stiff, uncomfortable and just not practical for droolers to wear all day long! 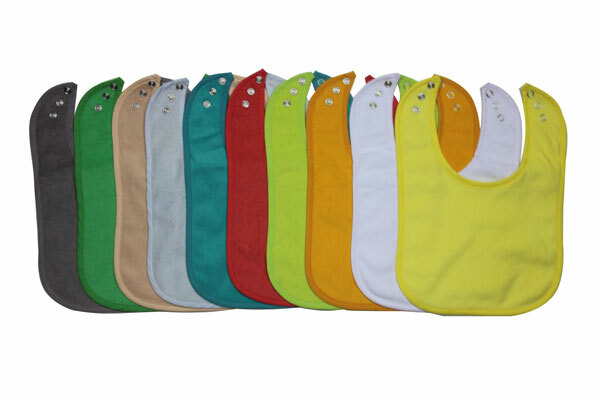 • Plastic-backed bibs are cold on your baby’s skin, tear easily and could be dangerous! Velcro bibs can be pulled easily by the babies. It can scratch the baby’s skin which can hurt the babies and wreak havoc in your laundry. 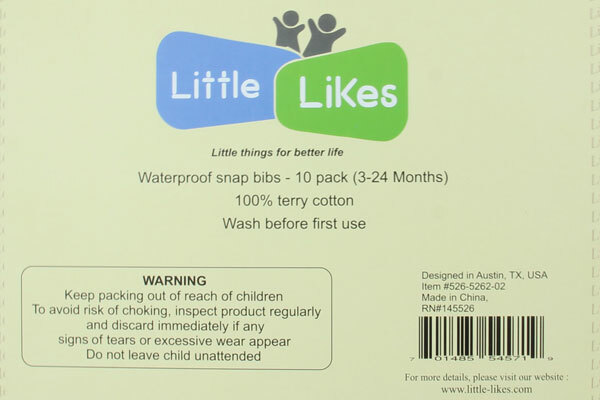 Little-Likes snap closures are quick and easy for you to use but too strong for your baby to pull off. Also, there are three different snap positions which are good for the growing babies from newborn to toddlers. These bibs are of a generous size that can protect the babies from making their clothes messy and also keep them dry and clean. 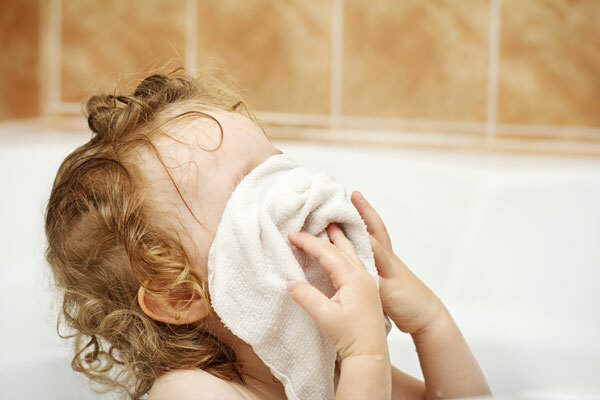 It is BEST for protecting baby or toddler drools, especially babies with sensitive skin. 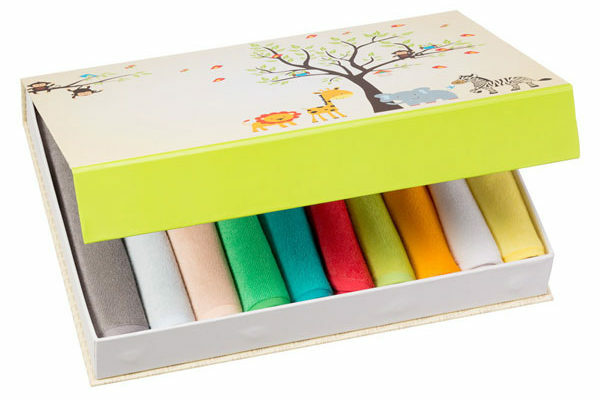 Ten different colors that can be matched to the baby’s outfit. Made of 100% thick and soft terry cotton. Easy cleaning with machine wash and dry. 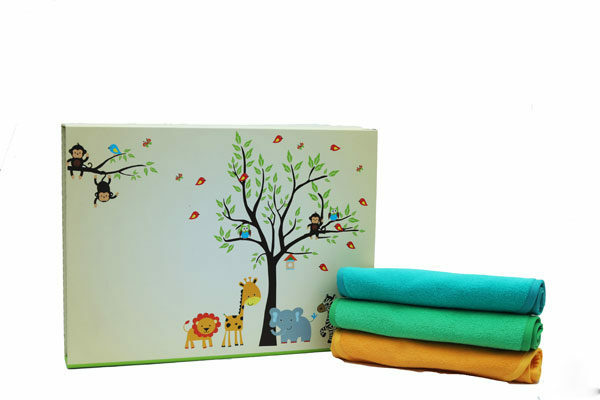 These come with a high-quality gift box which is perfect for the baby gift and looks royal for giving as a gift. The box can be reused for any purpose. 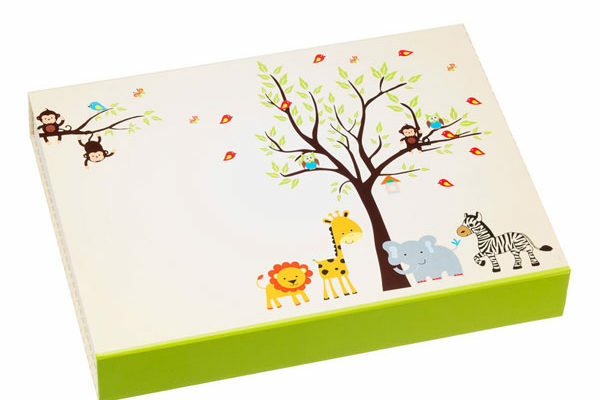 It can be used in the kid’s room to keep stationery or as a treasure box. Great baby shower gift or Christmas gift or thanksgiving present. Click Add To Cart button now to begin enjoying the benefits of the best baby bibs available on Amazon. Best customer service. This set is the best set of bibs I've ever bought. My kid is a heavy drooler and we can only use waterproof bibs. What bothered me about most bibs is that the velcro closure sticks to other things in the washer and snags them, so you always have to use a laundry bag (which will also snag). Velcro wears out quickly. The snap closure is so much more practical! The bibs are large to fit even a toddler with good coverage, yet the neck is adjustable, so would work for a smaller baby too. The fabric is soft and I like the solid colors that fit any outfit easily unlike printed bibs. I will definitely put this product on my list of items to give as presents for baby showers. Also, experience with the seller was excellent. Snap closure!! These bibs are great because they have snap closure so baby can not pull them off!! There are three snaps, similar to a onesie, which is great for adjusting to a tiny preemie all the way up to a toddler!! They realy are waterproof as they say! Te colors are fine. I wish they offered more color options, but with how great these bibs work, I really don't care what color they are!! The red is nice, almost a dark pink, but gender neutral. Orange, yellow, and green are nice and bright. Plain white washes nice and doesn't seem to be showing wear or staining! Love these! best bib ever. this is by far the best bib I have ever used..I bought pullover terry cotton ones, plastic cute animal ones that you can fold it and put it in a pocket for travel, one that looks like a plastic water proof vast, cheap one, pricey ones...It was all waste of money. I love LOVE these so much. I can say this is perfect bib for all ages. It fits my 5month old and 3yrs old. My 3yrs old uses it when she is eating fruits after she saw her baby brother wearing it. Its waterproof and button makes impossible to pull them off. It's soft fabric both side and looks and feels the same. This means, I can feed the baby and take the bib off and wipe his face with the other clean side! done! one more less tissue to use!! you can fold it small and put it in snack size zip lock bag for travel. I wash these in sinks and dry them and use them next day. Once a week I will wash them with hot water in the washer. I wish I found these 3 years ago when I had my first child. Favorite baby bibs. Love these bibs. My favorite baby shower gift item now for all my expecting mommy friends. I went back and bought a second set for myself too. Finding a bib with snaps so my little one won't pull it off is super helpful and I'm not worried about her growing out of it because of the adjustability built in. My friends were very impressed with the bib as my kid spits out her water but her clothes were dry. I would highly recommend buying these, well honestly, buy the larger box set and save yourself the time/effort. Great product! I would recommend these bibs to anyone who is looking for an effective and adjustable bib for their child or as a gift. The bib colors are so vibrant (our son loves them). Best baby bibs hands down! These are some of the best baby bibs we have owned and love them. Unlike many other bibs that claim to be waterproof but loose that over time these continue to retain the ability to keep him dry. Our son can soak the side of the bib away from him and the side against him will remain dry. The other big selling point for my wife was that these bibs are adjustable with three snaps. Many bibs we have tried were too loose around our sons neck to the point where he would get food and other things past the bib due to the gap between neck and his bib. He had also learned how to pull off his Velcro bibs, but the snaps keep these bibs around his neck comfortably. Easy to clean Good Product. Worth Buying. Waterproof and soft Bib I use these for all day drooler. I use them for feeding my 4 month old baby who spits up everything and likes to make a mess. He's a little chubby but they fit fine and rinse well. They have a water resistant back and feel soft.My baby feels comfortable to wear it all day. I would love to buy again. 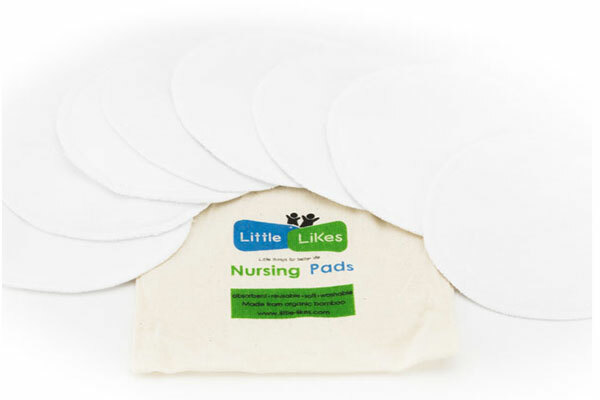 100% Organic, Luxuriously Soft, Perfect 10"x10" Size, Most Absorbent and Durable. Reusable Bamboo Breast Pads, Bra pads, Leakproof, Ultra soft, Waterproof, Hypoallergenic breastfeeding pads and Washable. Copyright © 2017 Little likes All rights reserved.